Hey there everyone! As many of you know, my wife and I have been transitioning into our new home recently—hence the delay in daily blog posts for the time being. The good news is, I've finally got my soon to be office [just about] all ready, so our internet will be hooked up on Wednesday and my computer/photo/video equipment will be moved over to its permanent spot! For right now, I'm getting a post in whenever I can make it over to my parents' house (like tonight). So yay! It's been too long. I have so many amazing new items to share with you all, but tonight I wanted to keep things pretty simple since it's getting late around these parts. Nonetheless, I'm pretty excited about what I have here. 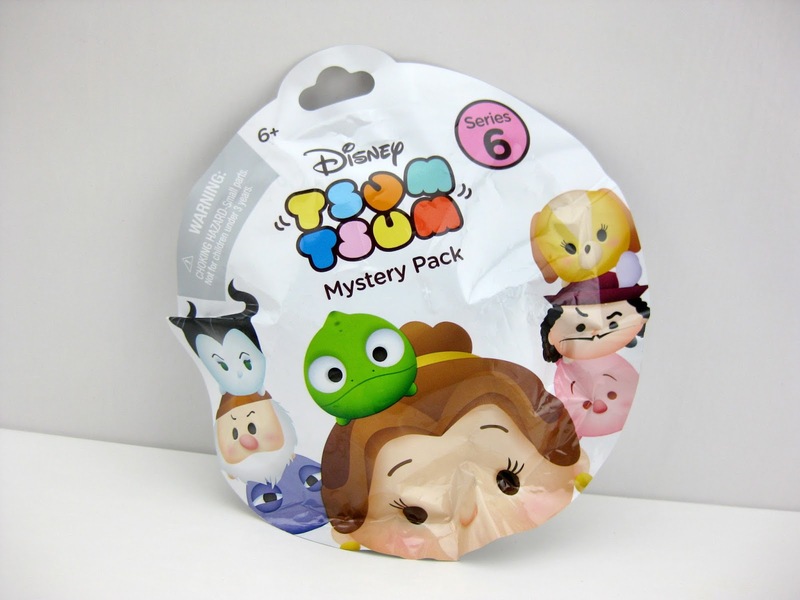 On June 1st, I was able to find the brand new SERIES SIX Disney Mystery Stack Packs by Jackks Pacific at Target! Note- If you missed my posts on the previous five series, I'd recommend checking those out before moving on: SERIES TWO HERE, SERIES THREE HERE, SERIES FOUR HERE and SERIES FIVE HERE. Once again, I was only looking to collect all the Pixar characters. 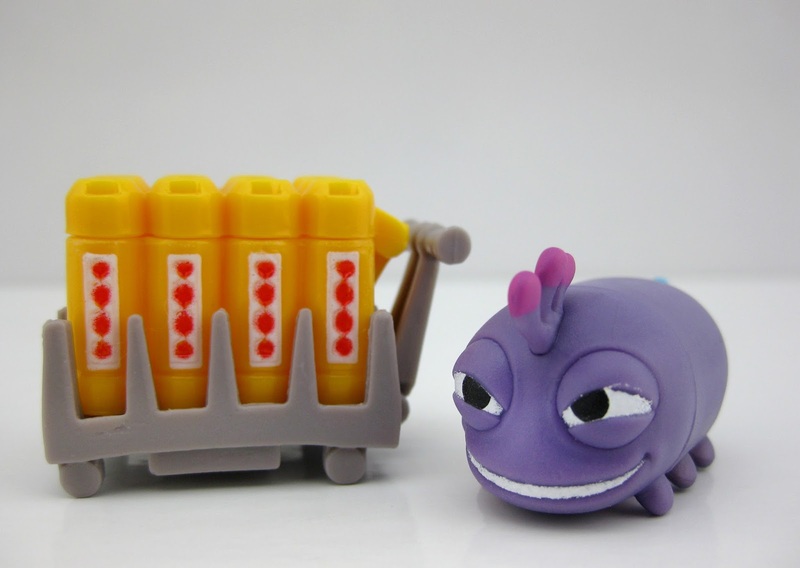 The bummer this time around is that there was only one in the entirety of series six...but on the plus side, it is a very cool one: Randall Boggs from Monsters Inc.! He'll go perfect with Sulley and Boo from series five. 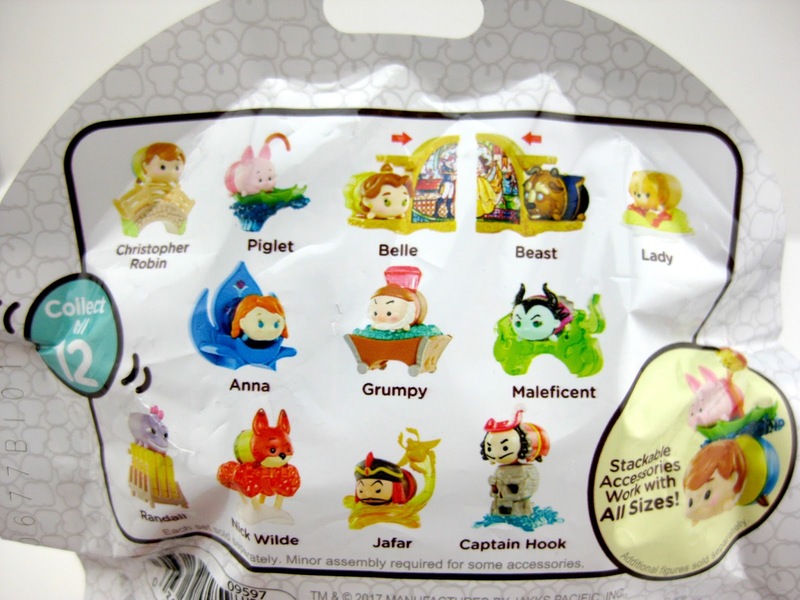 The other 11 non-Pixar characters in this series are Christopher Robin, Piglet, Belle, Beast, Lady, Anna, Grumpy, Maleficent, Nick Wilde, Jafar and Captain Hook. All in all, it's an extremely cool selection and they all look great. 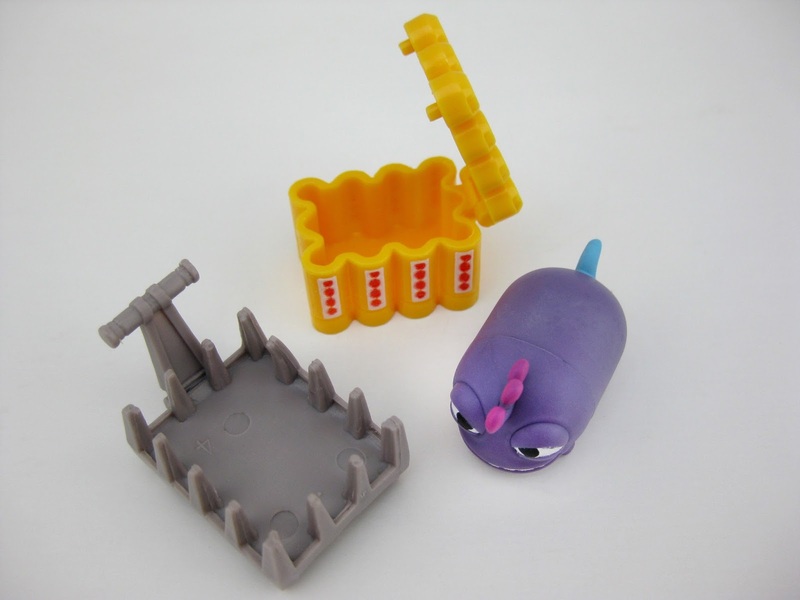 Because these are"blind bags", you don't really know who you're getting until you open up the package and peek inside. Randall though was very easy for me to feel for and find. His accessory comes all assembled and is a very specific shape, so I was very confident that it was him right away. I was right! Check out how amazing he is. I love his look and devious expression. Like usual though, it's the accessory I was really looking forward to. The scream canisters and cart was such a perfect choice here! 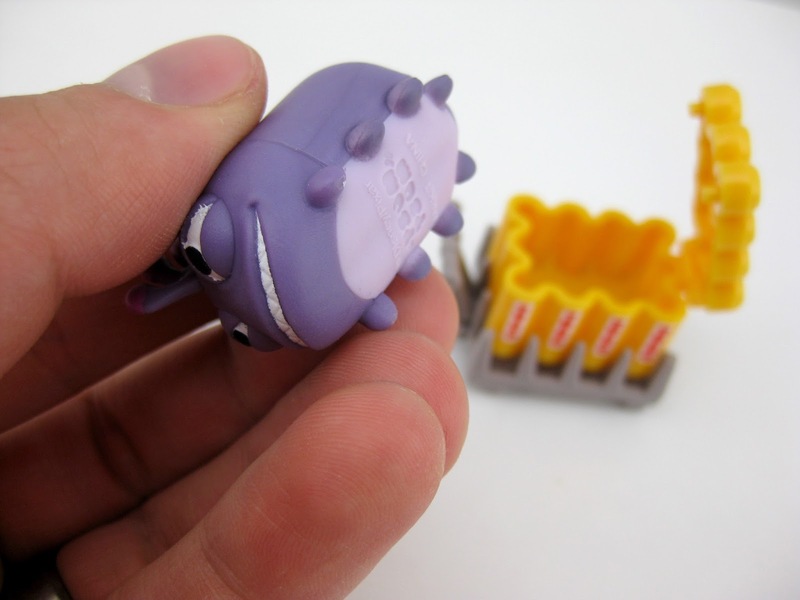 The scream canisters are all part of one piece and it can open up just like in the film (you can hide a small Mike, Boo or whoever inside). 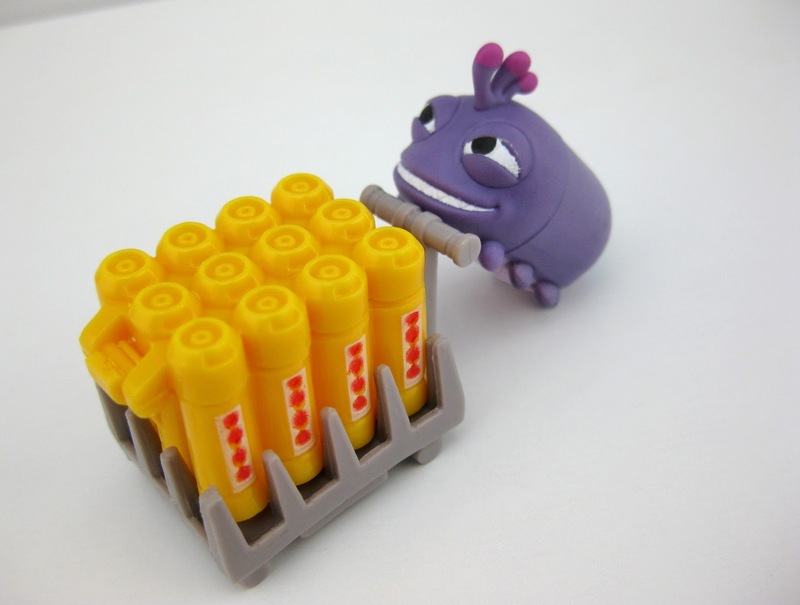 The cans can also be removed from the cart as seen below. 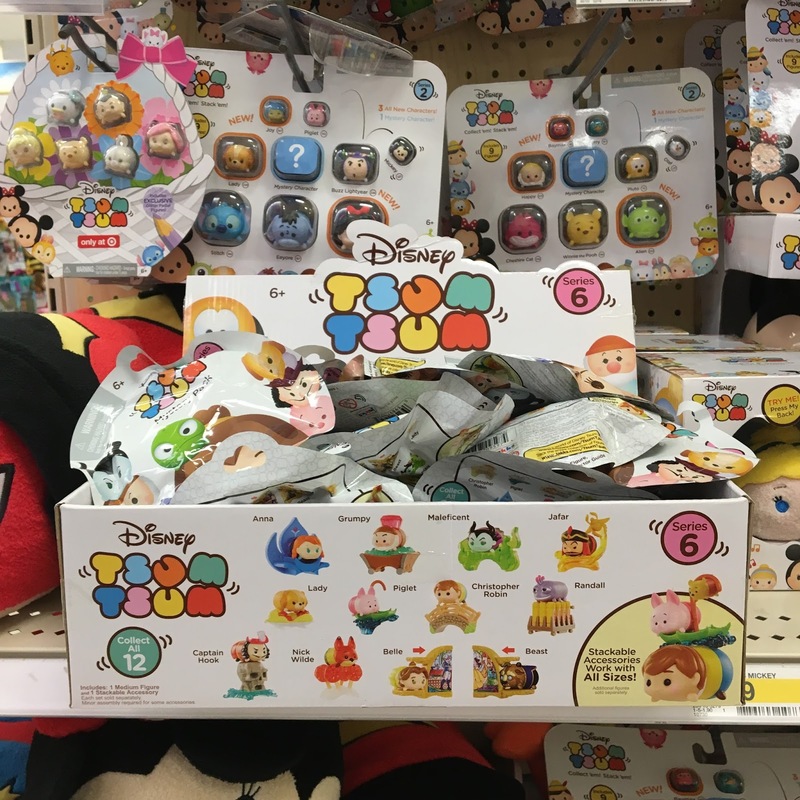 If this is your first experience with this collection, Mystery Stack Pack Tsums Tsums are always about 1.5" in size and are made of a soft vinyl/plastic material. Each pack retails for $2.99. There you go guys! Best of luck on the hunt if you're looking to add this one (or any from this series) to your collection. Again, Target stores are your best bet right now to find these—so head to yours ASAP to check for availability! Let me know what your thoughts are in the comments below. Who's your favorite character from this series?